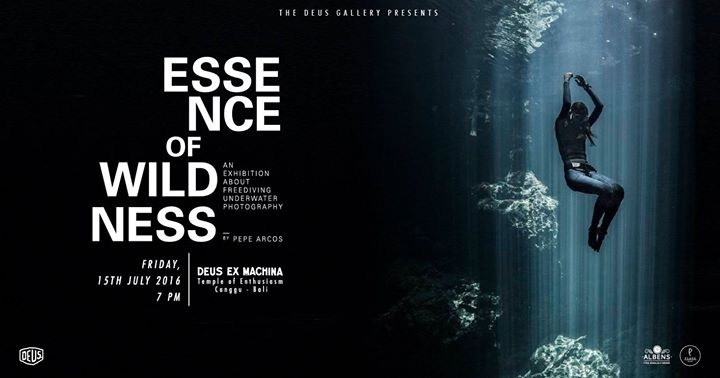 The Deus Gallery presents ‘Essence of Wildness’, a sub-aquatic exploration by professional freediver and underwater filmmaker/photographer Pepe Arcos. Journeying throughout the underwater world, from the Philippines to Egypt, Mexico and Tonga, Arcos takes us beneath the surface, capturing images of ethereal calm on a single breath. Free arrival drinks from Albens Cider and Plaga wine from 7pm, join and meet the artist. Pepe Arcos also exclusively presents his filmwork on opening night.